Asphalt shingles are among the most common materials used in roofing construction today, and there is good reason for it. Not only are asphalt shingles affordable, they hold up well in almost all climates. Plus, because of their versatility, asphalt shingles are available in a variety of colours making them an attractive roofing option for residential properties. Before outlining some of the pros and cons of asphalt shingles, let’s take a look at the types of asphalt shingles, costs, and installation. 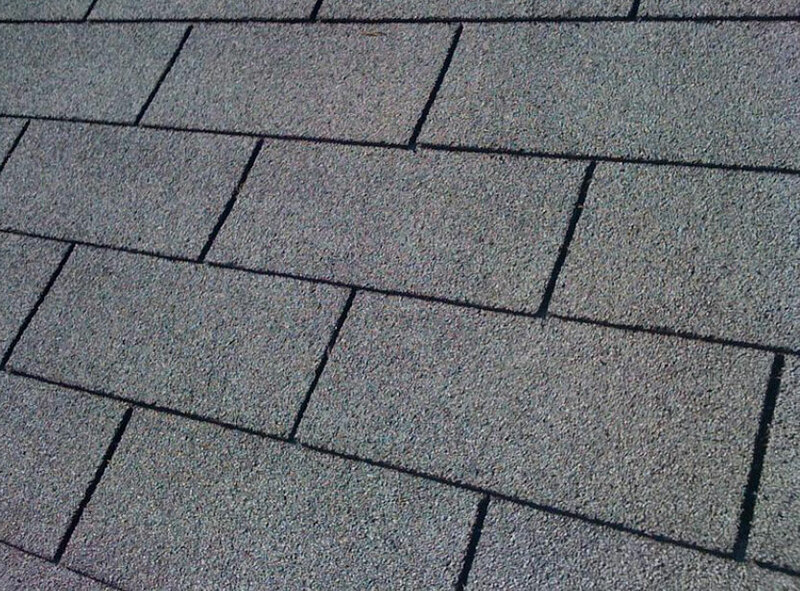 Typically, asphalt shingles can be categorized as either organic or fibreglass. Organic shingles are constructed from paper that is coated with asphalt in order to create a waterproof barrier for your roof. On the other hand, fiberglass shingles are treated with a resin coating to make them waterproof while also providing improved fire protection. In recent years, a newcomer to the asphalt shingle market that features two bonded layers is an attractive alternative to traditional asphalt shingles known as architectural shingles. Asphalt shingles are popular because they are versatile, easy to install, and affordable. Typically, asphalt shingles will cost about $90/square foot, but the ultimate cost will depend on the type of shingles you’re using. Compared to other roofing materials, asphalt shingles definitely come in at the low end for budgets; for example, cedar shingles will cost as much as $300 per square foot. When it comes to the benefits of asphalt shingles, roofing professionals will often cite their ease of installation as well as economy. Without question, if you’re looking for an affordable and durable roof, asphalt shingles are a competitive option. Indeed, they offer a relatively long life span and many asphalt roofs will be guaranteed for 20 or more years, depending on your roofing contractor. Another benefit of this roofing material is style. Because asphalt shingles are so popular and appropriate for almost any climate, you’ll find they come in a wide range of colours. No matter your personal preference, you’re likely to find asphalt alternatives that fit your home. Finally, asphalt shingles are also recyclable and are often used in road or driveway paving. Despite the many benefits of asphalt shingles, there are some drawbacks to consider as well. Sudden weather changes can contribute to quicker decay, so asphalt might not be the best choice for homes in regions with volatile climates. Similarly, high winds can lift shingles and even pull them off your roof, so consult a roofing professional if you live in a windy environment. Another weather consideration that can make asphalt a less-than-ideal choice is cold weather – ultimately, asphalt shingles should not be installed during exceptionally cold temperatures. Finally, asphalt shingles are not the most environmentally-friendly choice because they are a petroleum product.